Transylvania University of Brasov, Romania, April 11-13, 2011. 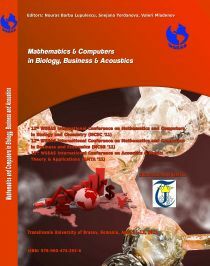 The WSEAS Conferences (AMTA, MCBC, MCBE, ICAI, NN, FS, EC, MEQAPS) have recently taken place in the AULA MAGNA Building of the University under the sponsorship and great support of the Transylvania University of Brasov, Romania, April 11-13, 2011. This WSEAS multiconference presented a high-quality three-day program on Computational Intelligence, Mechanical and Industrial Engineering Systems as well as Mathematics and Computers in Finances, Biology/Chemistry and Acoustics/Music. The meeting was opened by Prof. Dan Lepadadescu (Chairman of the WSEAS Local Chapter in Brasov). Professor Dan Lepadadescu gave a warm welcome speech to our delegates. 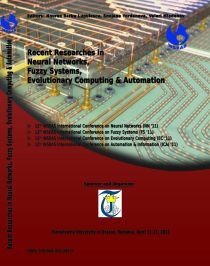 As Prof. Lepadatescu underlined in his welcome speech: "Computational Intelligence and Applied Mathematics / Computing due to their interdisciplinary areas of research and applications bring together, in a systematic way, many disciplines of engineering, from the most traditional to the most advanced and novel". Professor Lepadatescu also invited a local music group of excellent students from the Transylvania University of Brasov. This group of students, coming from the faculty of Music of the University, gave an one hour and a half live performance before the formal opening speech of Prof. Lepadatescu. As usual, every day, two coffee breaks were provided by the Transylvania University of Brasov (coffee, tea, juices, soft drinks, small sweet & salty pastries). The Social Event was held on the second day of the conference in a local restaurant named ''The Hill'' (formerly medieval fortress) and included traditional dinner dishes, traditional wine and Live performances by musicians of the local opera house in Brasov. Casa Sfatului. The administration for Braşov was here for more than 500 years. Biserica Sf. Nicolae (St. Nicholas Church), dating back to the 14th century. The First Romanian School, a museum with the first Romanian printing press among many other firsts. The Rope Street, the narrowest street in Romania. Şchei, the historically Bulgarian but then Romanian neighborhood outside of the old walled city. Catherine's Gate, the only original city gate to have survived since the medieval times. Şchei Gate, next to Catherine's Gate, built in 1827. The Orthodox church of the Dormition of the Theotokos, built in 1896. Muzeul Prima Carte Românească, a museum exhibiting the first book printed in the Romanian language. Tâmpa, a small mountain in the middle of the city (900m above sea level), a sightseeing spot near the old city center. The nearby Bran Castle, attracting many fans of Dracula and often (but incorrectly) said to have been the home of Vlad the Impaler. Poiana Braşov, mainly a ski resort but also a sightseeing spot. Prof. Lepadadescu again thanked the WSEAS participants and the WSEAS itself for the great organization and long time collaboration, with the hope that there will be another WSEAS multiconference in Brasov (possibly in 2012 or 2014). An excursion to Dracula Castle took place one day before the opening of these parallel conferences April 10th, 2011 with the great help of Prof. Dan Lepadadescu (Chairman of the WSEAS Local Chapter in Brasov). These small groups of WSEAS friends made several excursions, and other social functions helped forge the links between them and provided a friendly atmosphere in which to discuss opportunities for further research collaboration. The WSEAS conferences were highly successful, and will be reconvened in the near future in a location and date to be decided soon. Click here: http://portal.acm.org , select "The Guide" and then type WSEAS. * As in 2010, (see here 2010 http://www.wseas.org/reports/), all the WSEAS Publications will be indexed in ISI, PUBMED,MEDLINE, SCOPUS, ACM, WSEAS E-Library, IET (IEE), ASM, ACS, CSA, ELSEVIER , ZENTRALBLATT, MATHSCINET, DPP,EI, CSBA, Ulrigh, DEST, EBSCO, EMBASE, GEOBASE, BIOBASE, BIOTECHNOBASE. 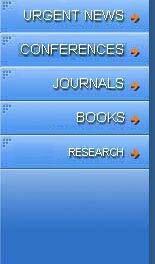 EBSCO, EMBASE, GEOBASE, BIOBASE, BIOTECHNOBASE. 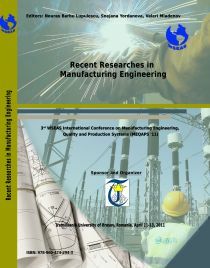 * As in 2010, (see here 2010 http://www.wseas.org/reports/), in collaboration with the Institute of EUROPMENT, IEEEAM, IASME, IARAS, WSEAS. WSEAS Journals: The WSEAS Journals are entirely independent from the WSEAS Conferences, since they are currently candidates in ISI Web of Knowledge (all the WSEAS Conferences and Books have been already in ISI Web of Knowledge). Authors can send (upload) their papers to WSEAS Transactions regardless of whether they have attended a WSEAS conference or not. Also the WSEAS Transactions are the only open access journals in the world where the Authors do not pay any kind of registration fees or publication fees or "donation" (i.e. the full PDF files of the papers are permanantly open for everybody, without any restrictions, while the authors are not charged with any kind of fees). The Editors-in-Chief, being assisted by the members of the Editorial Boards, are the absolute decision makers for the acceptance or not of the submitted papers. WSEAS simply prints out the papers in hard copies & on the web. by Prof. Constantin Volosencu, "Politehnica" University of Timisoara, ROMANIA.